I first learned of this book on the author's blog. I like fantasy and mythology, plus that the story is set in the Pacific NW, I thought why not? I had to read technical manuals in my job, so now that I am retired I try to only read to be entertained, and I was entertained. This book is much like the shows I like to watch: Bonekickers, the Librarian movies and the Librarians series, the Scorpion series. So Ostrogorsky, when will there be book 2? So, I headed off to bed a bit ago,and figured I would read a chapter or two of your book. Well, needles to say, I'm still up and half way through. I would keep going but we have family pics in the morning 🌄 and I'm already going look like hell! I need sleep 💤 Thanks for the fun read! Michael Ostrogorsky lives in Seattle, Washington with a flock of parrots and a coffee business and apparently a very creative mind to turn out this wild and woolly (or, more appropriately, fast and feathery) yarn about meeting a parrot who turns out to be so much more than he ever imagined (that happens to most of us who turn over our lives to an avian tyrant) and leads him through several apocalyptic turns, all firmly rooted in real-life Seattle. 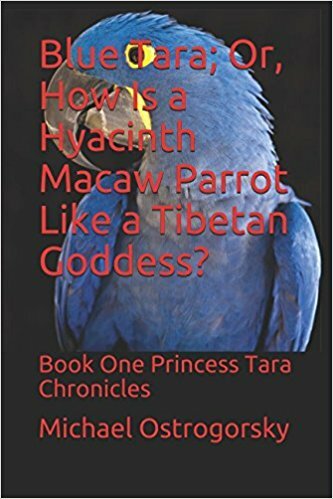 Three, even four dimensions are not enough for him and Princess Tara, who is, of course, just a hyacinth macaw (yeah, sure), as they ramble through Vajrayana Buddhism, shamanism, and even a bit of contemporary politics. I have never tasted his coffee, but after reading this yarn, I say, "I'll have what he's having!" Reinventing zombie literature. Michael Ostrogorsky has a delightfully funny and engaging writing style that breathes new life into an old genre. I took the novel to bed and I was just going to read a chapter or two. Ended up staying up half way through the night because I couldn't put the book down. If you like zombie fantasy you'll love this book. Can't wait for Book Two to come out. Will give me something to look forward to this summer. Blue Tara is a fun book to read on a rainy day. It has a fast-moving, surreal and magical storyline that combines the past with the present flawlessly. I never knew the history of the Old Executive Office Building in Washington, D.C. so learning of its sinister past was an added bonus. I cannot wait for Book Two! 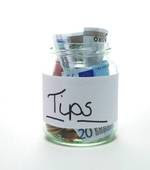 Love your writing! Funny. . . I also have been writing a series called The Bijou Chronicles. Very different from your treasure.